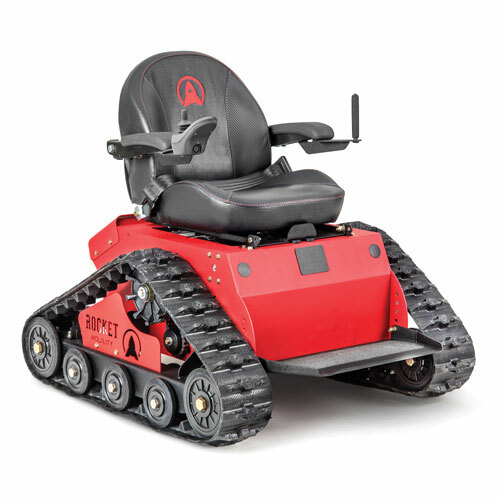 Rocket Mobility manufactures all-terrain tracked wheelchairs that empower independence. Made in Lincoln, Nebraska, Rocket Mobility can help disabled hunters, veterans, farmers and anyone else with mobility issues to reclaim their off-road independence. So go ahead, break down the barriers of limited mobility. Get off the concrete and get back into nature. Go far, fast. Rocket Mobility all-terrain tracked wheelchairs help the mobility impaired enjoy the outdoors. This off-road wheelchair has a lower center of gravity that can handle almost any terrain. Check out the Tomahawk in action!